In Blue Mountains Best Bushwalks, Veechi Stuart, local author and resident of 20 years, combined her professional writing skills with her passion for bushwalking. In her choice of the best bushwalks, she includes not only the classic walks listed in many guidebooks, but also the quieter tracks that few know exist, as well as some of the more historic walks that are in danger of being forgotten. Veechi, and local nature photographer Scott Townsend, complement these detailed descriptions with over 150 full-colour photos, and detailed full-colour maps also accompany almost all the walks. Blue Mountains Best Bushwalks includes a range of walks from 30 minute strolls to 2-day overnight adventures, and is full of suggestions for parties of differing experience. If you love to get out and about then this is a book for you, regardless of your fitness level or bushwalking experience. 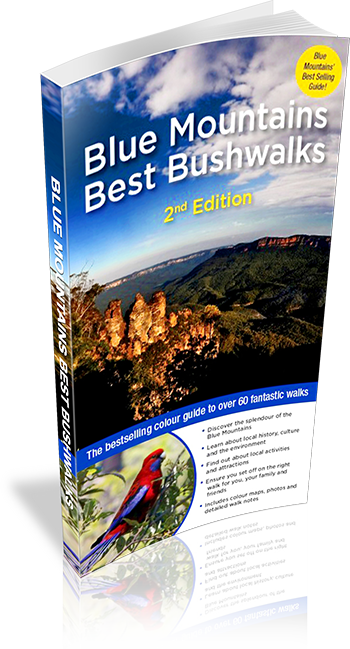 This 2nd edition has been updated with all walks re-walked and amended as required, and includes a new section, "Further Afield", detailing some of the best walks just outside the core area of the Blue Mountains in places such as Jenolan Caves and Mt Wilson, plus a new atlas section so you will easily find the start of each walk.